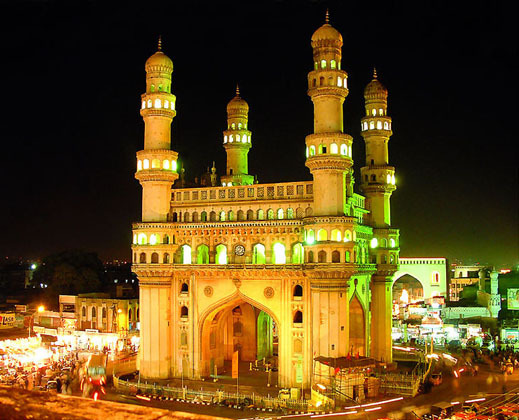 "At Home in Hyderabad": First India Road Trip Part 4 - "Shiva Temple(s) and a wedding!" First India Road Trip Part 4 - "Shiva Temple(s) and a wedding!" 1) Indian people simply do not like to tell you "no!" As a matter of fact, I think it may be an impossibility for them to even say the word!! This can be a little maddening for somebody who tries to live by the Biblical admonition to "Let your "yes" be "yes", and your "no" be "no"!" Being so "positive" sounds like a good thing, but - even if a person here means: "No, no, no! Absolutely NOT!" - it comes out as: "I will try!" If they meant "I will try!" - that would be one thing. But, often it really means: "No...not a chance in the world!" 2) India is a BIG country. The roads (especially this year in Andhra Pradesh, after this heavier-than-normal monsoon season) are often not-so-good. But in asking my Indian friend Bhaskar, "Is it very far?" - the answer to any such inquiry is the same: "No, sir...not far!!" When we got situated in the car after the Kush Mahal - - There was another three-way exchange in Telugu. Then Krishna asked me if I wanted to see "just one more temple, Sir?" Well - if the truth were told, I was tired and I really didn't want to see another temple! But I could hear from the buzz in the car that it was something that everyone felt I really should do - - so - I agreed and asked (for the first time) "Is it very far?" "No, sir...not far!!" was all that Bhaskar said! The next hour-and-a-half was spent driving along the WORST road we had seen so far...mostly it was a "dirt road" - but even worse than that is - the local goat-herders were busy getting their flocks home for the night...and we had to stop and pass literally dozens of herds of goats - with some flocks numbering in the hundreds!! I was getting so frustrated, I told Krishna: "No more extra trips!!" All of a sudden - and for no reason that I could see, we pulled over in the dark of night (I had already asked Bhaskar if the temple we were going to see "had lights on it" !) - and we pick up another passenger!!! It turns out that it was yet another friend who not only had connections at the Shiva Temple we were headed to, but - he had made special arrangements for a private pooja to be made in my honor!! An older priest came around the corner and presented me with a nice, full-color booklet about the temple and its history (unfortunately, all in Telugu - - which is why I can't tell you the name of the place!!) and placed a red kumkum tilak on my forehead and a green and gold scarf around my neck... I was whispered-to by Bhaskar to put some money on the plate...I still don't think I put enough, but - it was all I had in my pockets! On the far side...there is a very, very old Shiva Temple...mostly just the remaining pillars and a raised sanctuary...it was roofless so there was nothing but the expanse of stars above. "Inside" the temple....there was a full-scale Hindu wedding going on!! My three Indian friends had no problem walking right up the stairs and into the midst of the wedding guests...who, of course, all stopped and stared at the American Guy!! We sort of sneaked-out the back...and toward the car....got in...and headed back toward Warangal and our hotel. Heck...I can't get the next-days activities at the Ramappa Temple in this blog...I've rambled-on far too long as it is.... I'll have to make this a FIVE PARTER!! What an incredible adventure... and honor! First India Road Trip Part 1 - "The Jain Temple"